Some people might say that in life, you should only surround yourself with beautiful objects, love, and all things that gives you happiness in order to attract more positive energy to your life. For most women, shopping for things that we love gives us an unexplainable amount of happiness. We do it with style and right strategy, and for that we treasured most of our purchases. I’m also a huge fan of shopping for items that could last for longer time. Something that doesn’t fade in fashion, no matter how fast the changing seasons are. Recently, my friend suggested that I should add a cashmere shawl in my closet. Cashmere is one of the most expensive fabric, and as a woman with taste, my friend told me I should have it. But why is it that cashmere make it so expensive? If you’ve ever been shopping and picked up a scarf only to immediately feel like you’re holding the softest puppy on the planet, then you know what cashmere feels like. Cashmere feels and looks amazing, but it also costs a TON. And it’s expensive because of the way cashmere is made. Cashmere is not the same as wool. Whereas wool comes from sheep, cashmere comes from a specific type of goat. Yeah, we were surprised too! And these goats grow amazingly soft hair, but they don’t grow that much of it. A single cashmere sweater requires the hair of about four cashmere goats. The soft fibers come not from those long hairs that you see on the goat, but from a very soft undercoat. Cashmere’s softness comes from the fact that its fibers are very fine. The price of the fabric also comes in the fact that it is processed and weaved manually, and take weeks before it finished a single piece of clothing. And no wonder, the fact that the fabric is so expensive and the huge demand of it, is still at its peak. So when we were invited to an exclusive launch of this bespoke collaboration of the true creative brands, we are very much looking forward to view its finest collection. 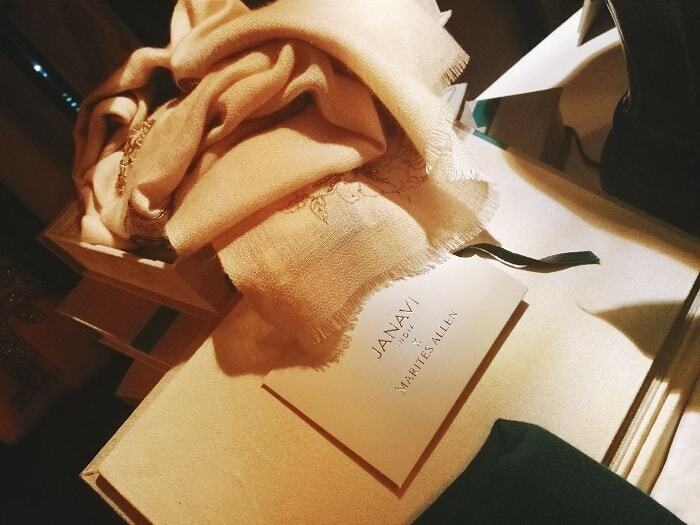 Janavi India is the brainchild and creative expression of Jyotika Jhalani, who began the brand in 1998 from her home. Coming from Kashmir, growing up draped in the warmest pashminas and always being in a creative environment- the valley had so much beauty. Jyotika wanted to celebrate her Kashmiri heritage and imbue it with a sense of drama and cinematic language that has always marked her aesthetic. 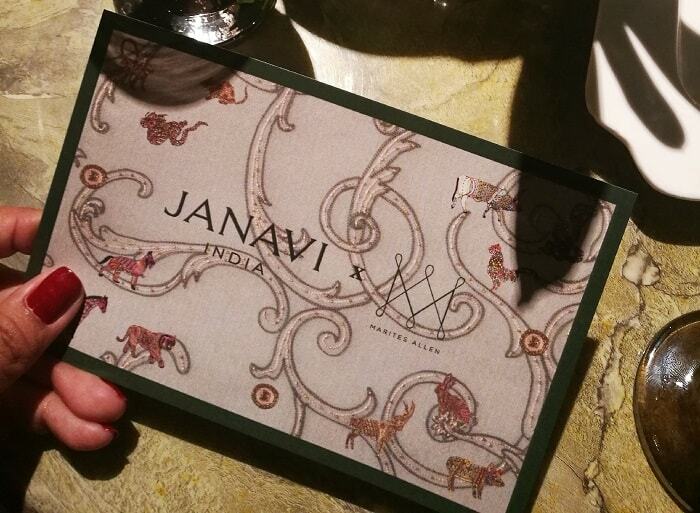 Janavi India are now available in about 200 stores worldwide, like Bergdorf Goodman and Harvey Nichols. 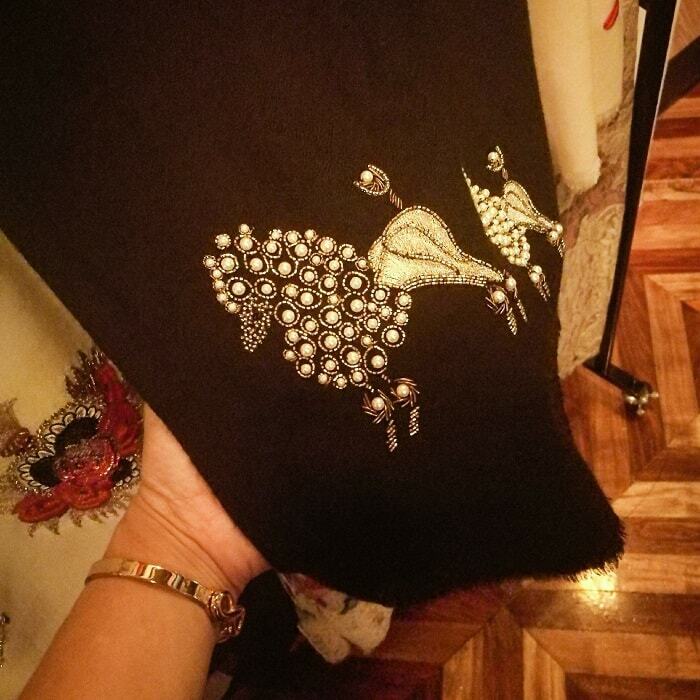 The brand proud to be made in India and an ideal piece for heirloom is now called Janavi India, so there is a slightly greater emphasis on ‘made in India’. It’s done in a way so that people can have them as heirlooms. We are really excited about being in Calcutta. 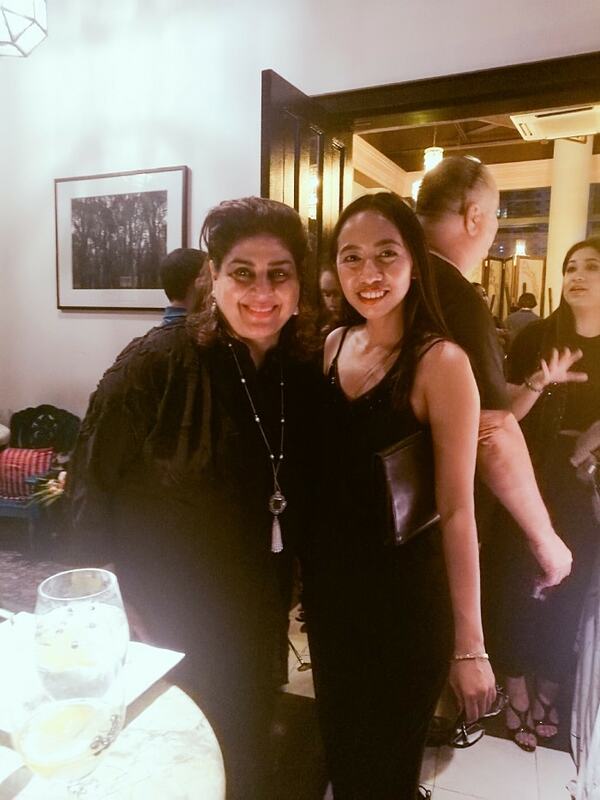 The beautiful 26-pieces collection of cashmeres were presented to as by Marites Allen – a well-known feng shui master of the Philippines and in London, sharing us her intimate collaboration with the luxury brand Janavi India. Each pieces are well crafted and designed by the local (mostly male) artisans of Janavi India, all hand weaved with care that took 2 to 3 weeks of processing. The luxurious materials are sources from Mongolia, all DNA-tested to identify its authenticity. 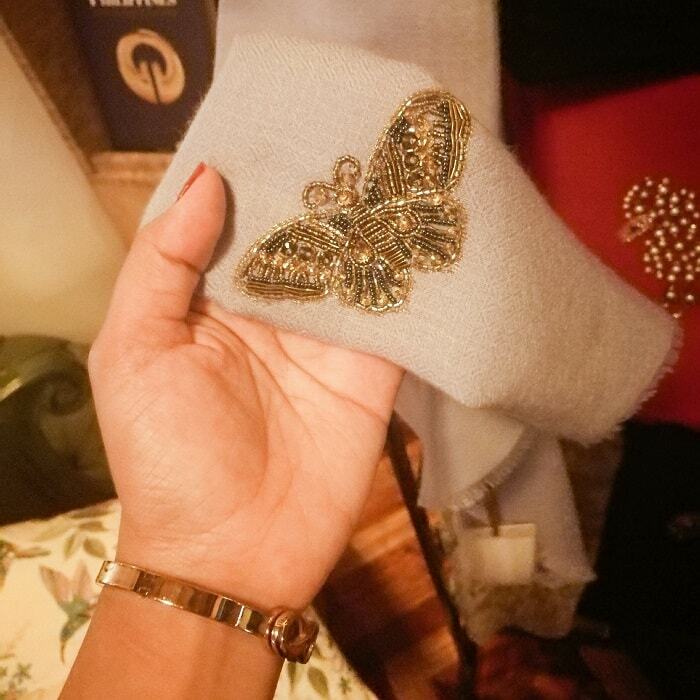 In addition to the current Frigga Lifestyle collection, Marites Allen have collaborated with Janavi India, and released her 26-pieces auspicious designed cashmere shawls, that are very limited edition. Each shawls are designed and well-crafted with her amazing team and herself. 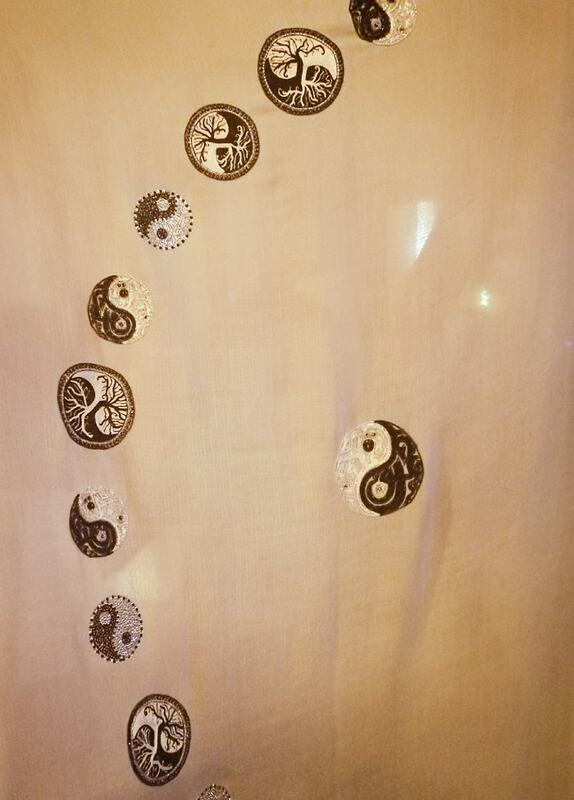 The embroideries are very delicate and auspicious, and would bring good charm and luck for its owner. The most exquisite design from Janavi India x Marites Allen collection featuring the symbols of yin and yang, and some auspicious signs. The shawls are very special, and are perfect wear for any special occasions, and also as an heirloom. Currently, the auspicious collection is now displayed at Manila House until 2nd of June 2018. 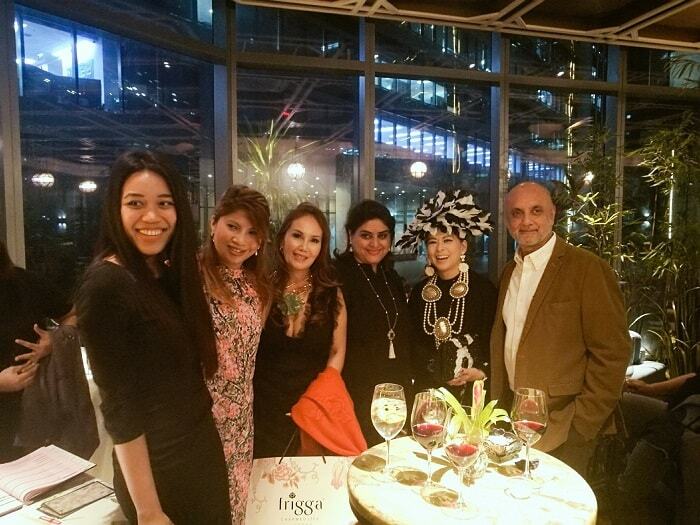 For orders, you may check the Frigga Lifestyle website and Janavi India, for more designs and orders. I did not know until just now why cashmere was more expensive. Now I understand. Most of her designs are stunning. I especially like the pieces with the dog on them. This is neat stuff. I love the sequence butterfly. I havent heard of Janavi India before. I agree, its lightweight and not heavy inside my bag. I love cashmere! I would have all of the things cashmere, if I could. Thank you for sharing all of those lovely pieces with us. How many cashmere shawls to you have now? These fabrics are all so gorgeous, I love the colors and appliques! Wow... Those are beautiful products! Do they have an online store that can ship worldwide? I would like to have the Janavi product. Yes they do. Janavi India also on Instagram and have their own website. Omg wow these are so gorgeous! I absolutely love the beautiful details...I can just imagine how soft they are too. Every girl should have a luxury item in their closet. Cashmere is perfect: beautiful, elegant, and gorgeous. I love the variety that is available from this company and the creative designs that come with it. Thanks!! I heard that cashmere fabrics are good for babies as well! Who knew that it took four goats for a cashmere sweater! Love those little puppies on the scarves. So that means, 4 baldy goats are running around! I would love to have some cashmere items. This post has it all! I remember learning that cashmere was goat fur and I was so shocked. It really is such a luxurious material! Yeah and its so fabulous! What great designs! The little dogs are the cutest! Must have taken forever to do! Girl I love reading your blog because your'e always doing something centered around traveling and a variety of cultures. Ohh thank you! I find it more enjoyable, and have an opportunity to see other things in different perspective. Wow, I did not know that about cashmere! I really like the designs on the shawls. They are beautiful, definitely worth holding on to and passing them down. My daughter would love the butterfly design. They are so gorgeous. Kids will love it as well coz it feels like holding a puppy, so soft. Yeah, they let the hair grow and harvest them to make a cashmere. I'm in love the all the embroidery detail on each. Definitely helps tell them apart and it's so different and unique. very neat that you got to attend this event. 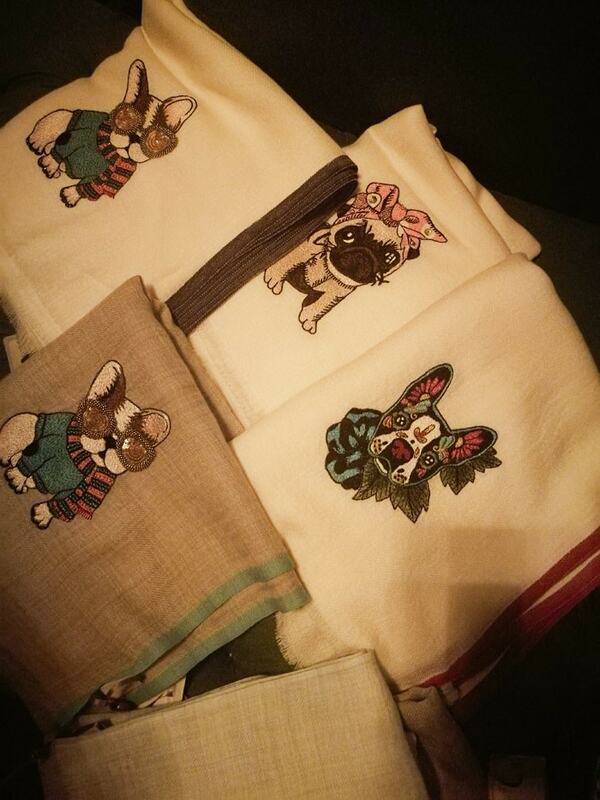 The fabrics all look very well made and I love some of the patterns..especially the pups! Cashmere is expensive always, now I know why it is that, they so soft fabric . Those designs are so pretty. I would like to get some may be I will check it out. Yey, hope you add this to your collection. I believe anything handmade or hand crafted is just extra special. The designs, needle work are beautiful. What a beautiful collection presented. Oh thank you Natasha. 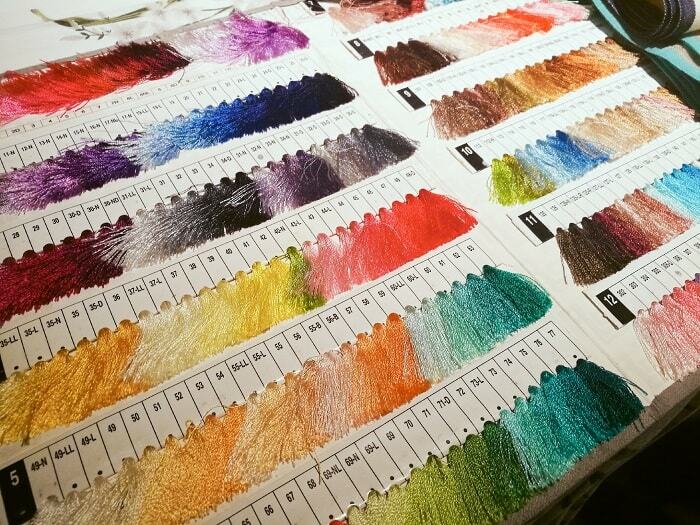 Do you have your own cashmere shawl? Ok, I feel kind of silly now! I had no idea cashmere was from a goat! And wow, these collections are beautiful! You should have at least one! This looks like a wonderful event! 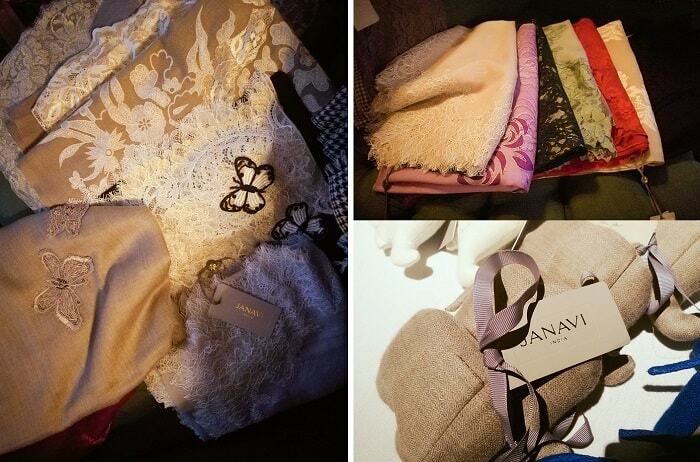 And loved the collection of Jhanvi India. 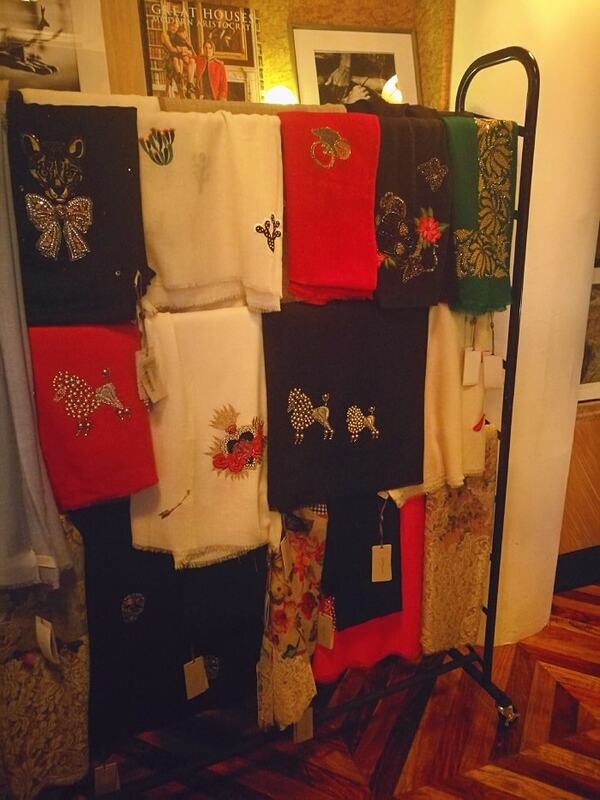 My mom is fond of Pashmina shawls and she owns few of the signature pieces. Did you buy anything from this collection? Cashmere! I always wanted to have a handcrafted scarf. These look so gorgeous! Cashmere is totally worth it! Its expensive but its just incredible! Happy to see a collab with my country!